820km with 7,206m of climbing at altitudes ranging from 2,800 to 4,500m. The route runs from Cusco, through the Sacred Valley then on to Lake Titicaca and the altiplano before crossing over into Bolivia. 1020km with 6,355m of climbing, mostly at 3,600m of altitude. The route runs down Bolivia’s Route 1 from La Paz to Oruro, then heads out south-west, then off-road onto the salt flats of Salar de Coipasa and Salar de Uyuni. 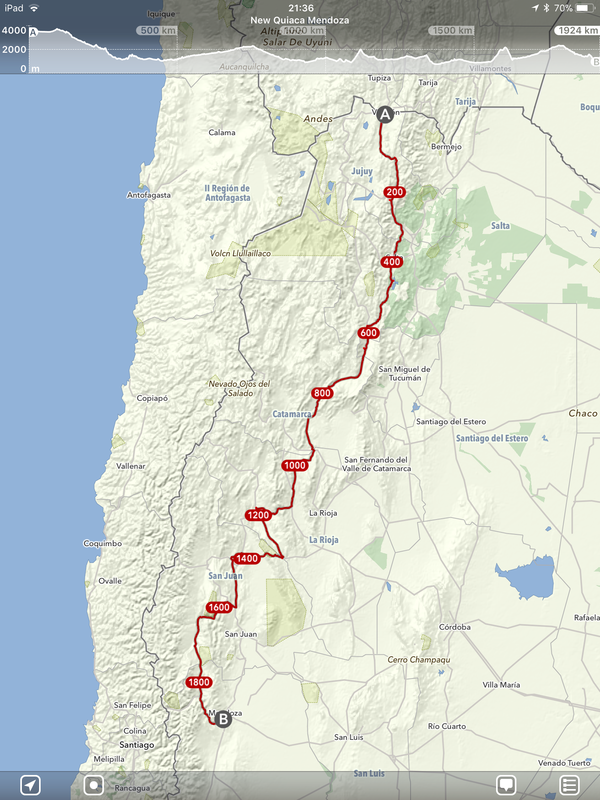 If weather (snow) allows, I’ll add an extension to ride south-west from Tupiza to San Pedro de Atacama, through the famous Lakes region. 1,924km with 17,387m of climbing BUT also 19,888m of descending:). Following the Argentinian Ruta Nacional 9, 68 and 40 into the land of fine wine. 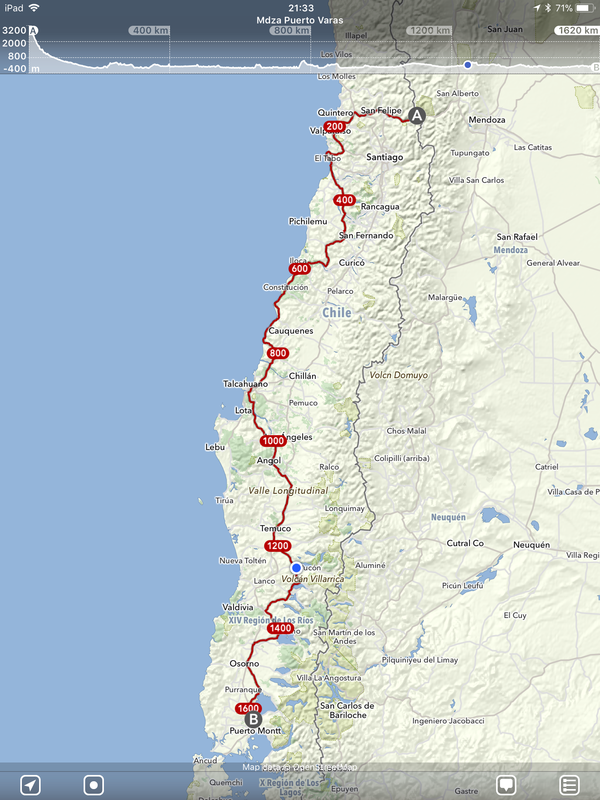 1,620km, starting by descending a rather high border pass from Argentina into Chile, all the way down to Valparaíso on the coast. Riding the bumpy roads of the coastal road ‘La Ruta del Mar’ (oh, doesn’t that altitude profile look positively lovely in the picture…but…it actually has 13,800m ascent on highly undulating coastal roads!) down to the ‘Los Lagos’ region – the Chilean Lake District. Finally meeting up with mis padres Los Brindleys in Puerto Varas for some much needed R&R:). 2,800km distance, and 31,620m up hill and down dale, to ride along the famous Carretera Austral through Chile then crossing over to Argentina to reach Ushuaia, its southern-most point. Battling gravel roads and infamous winds, whilst also seeing beautiful forests, glaciers, fjords and hopefully some penguins, this will likely be the most remote and visually beautiful part of my trip so far. 1,300km with 20,000m of climbing. From the colonial town of Cartagena, through the searing heat by the Caribbean coast, then climbing up through the luscious mountains and coffee plantations of Colombia. I’ve decided to hop on a bus from Popayán to Ipiales (as there isn’t so much to see riding along the Panamerican Highway here). 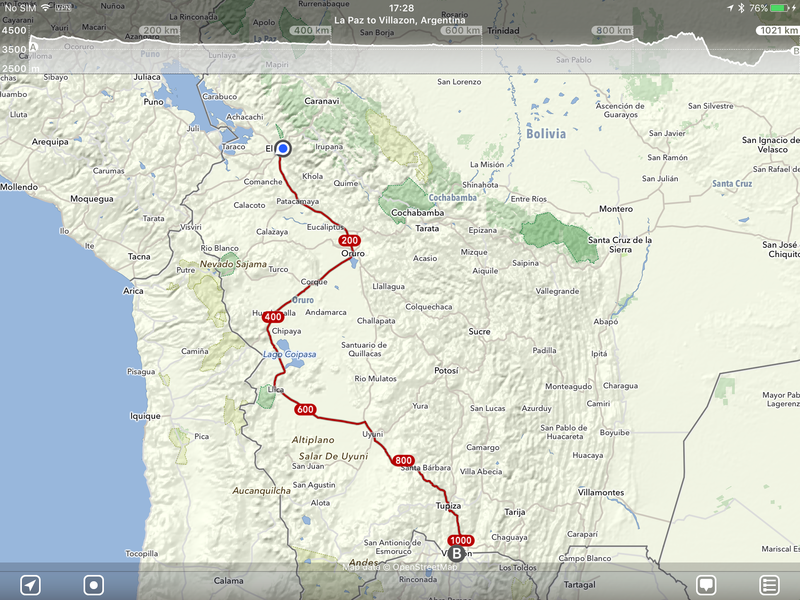 This will take me to just before the border with Ecuador, to make sure I have enough time left to enjoy riding there in my final month too. For my last month on the road, I’m hoping to ride 1100km with 31,000m of climbing, zigzagging between the famous volcanoes of Ecuador. This will be rainy season, and much of the riding is at high altitude (check out the profile below!). I have very limited time left, so a bout of food poisoning or delay to acclimatise may mean I end up having to compromise on the route. I’m just hoping the rain clouds give me a sneak view of a few majestic peaks every now and again!